Sigma is equipped with bespoke lab facilities and expertise to provide coal sampling and testing, as well as other support services like ultimate analysis, proximate analysis, Calorific value (Gross/net) and ash analysis for the coal mining and processing industries. Leverage our technical capabilities to guarantee that your coal analysis meet global standards for quality and excellence. 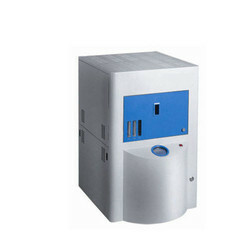 As per the requirements of the patrons, we are presenting the best quality array of Ash Fusion Temperature Testing Lab to our prestigious clients. 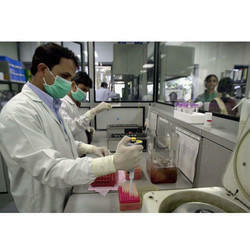 This testing lab service is available with various options. Moreover, we believe in offering complete satisfaction to the clients and for this, we provide temperature testing service as per client need. Being one of the reputed firms in this domain, we are offering a wide collection of Calorific Value Testing Lab to our precious clients. Offered services are executed by the experienced person. In addition to this, this calorific value testing lab service is admired for its reasonable prices and client-centric approach. The calorific value or heat of combustion or heating value of a sample of fuel is defined as the amount of heat evolved when a unit weight (or volume in the case of a sample of gaseous fuels) of the fuel is completely burnt and the products of combustion cooled to a standard temperature of 298 degree K.
The ultimate analysis determines the various elemental chemical constituents such as Carbon, Hydrogen, Oxygen, Sulphur, etc. It is useful in determining the quantity of air required for combustion and the volume and composition of the combustion gases. This information is required for the calculation of flame temperature and the flue duct design etc. Ash fusion temperatures give an indication of the softening and melting behavior of fuel ash. These temperatures are widely cited in fuel specifications for boilers despite a relatively poor record of correlating with slogging or fouling behavior. Fusion temperatures at one time were also quite subjectively measured, but this criticism has been addressed by the development of automated techniques for performing the measurements that require no intervention by the operator. Despite the shortcomings, fusion temperatures are valuable guides to the high-temperature behavior of the fuel inorganic material. 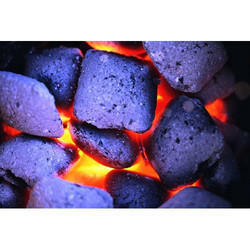 We are offering an exclusive collection of Proximate Analysis of Coal to our valuable clients. These services are rendered as per the set industry guidelines. Apart from this, offered proximate analysis services are famous for their highly reliable, executed by professionals, ensures complete satisfaction, and high promptness.